Unless you go to a florist in-person to buy flowers, you never get to meet the person who is in charge of taking your order and expressing it with flowers. 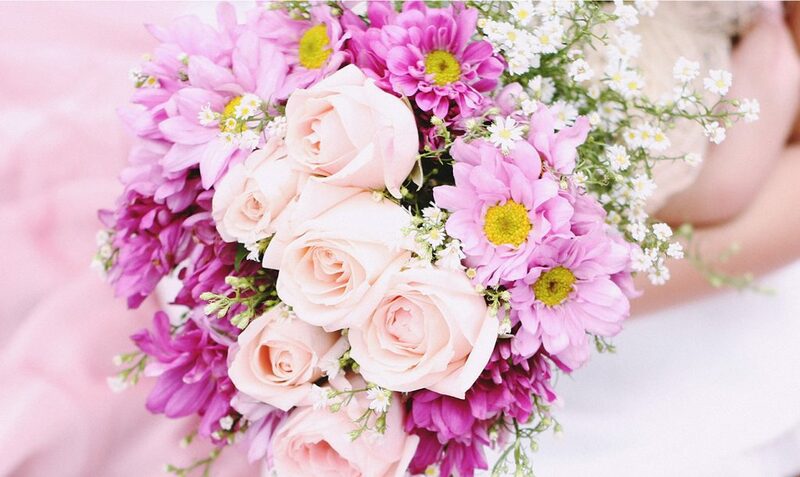 You miss out on the intimate details that your florist can get from having a real conversation with you. You miss out on the expert guidance they are able to use to help craft your exact feelings into a floral display. You miss out on being able to explain why you’re sending flowers in the first place, and how you want the your recipient to feel when they arrive. The hard work of florists creates lasting memories for you and your loved ones each time you choose to send a floral gift. But have you ever wondered who’s behind it all? 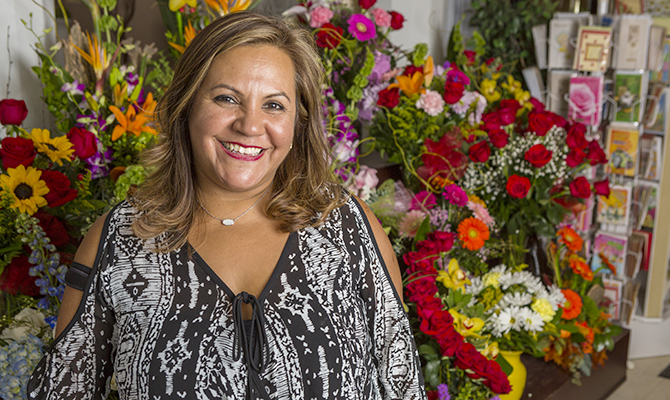 Lovingly florists are artists, passionate about floral design and passionate about meaningful giving—they strengthen relationships daily with their craft. They love to know the whys, the sentiments, and what’s special about this giving moment, so they can create unique designs to evoke the feelings that you want your recipient to feel. 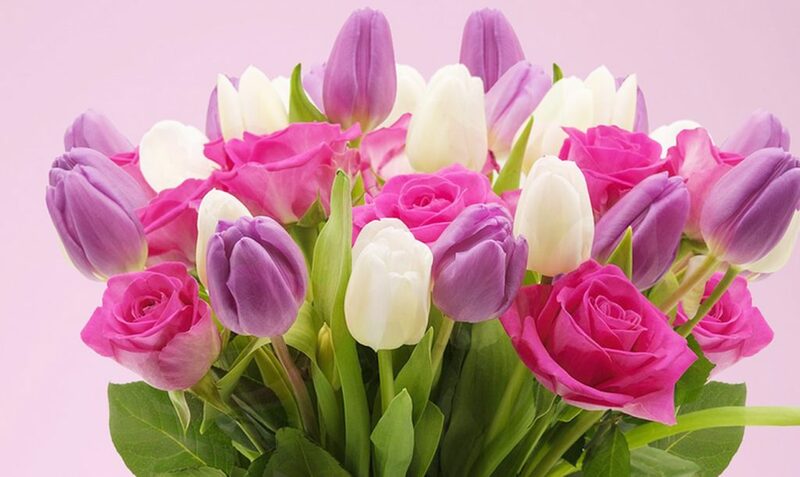 Each day, their flowers help save relationships. And each day, their flowers change the world. They’re entrepreneurs, members of your community, and in a lot of ways, relationship gurus. They’ve heard it all, and know the best way to visually express how you’re feeling. 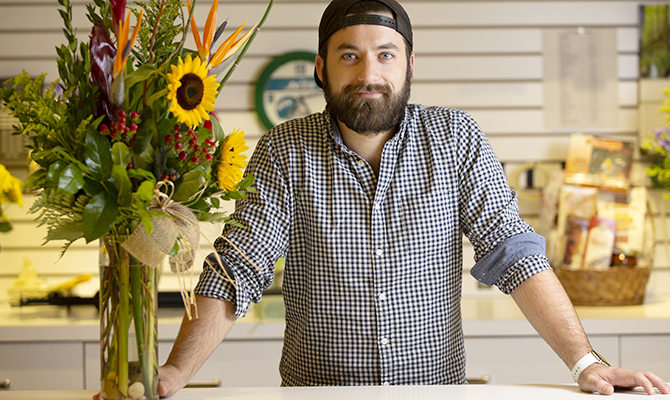 Read on to learn about a few partners in our incredible florist network that help power Lovingly each and every day. I used to work for a bank. I worked there for 10 years, but then I lost my husband when I was 29. I had always done art and loved it. 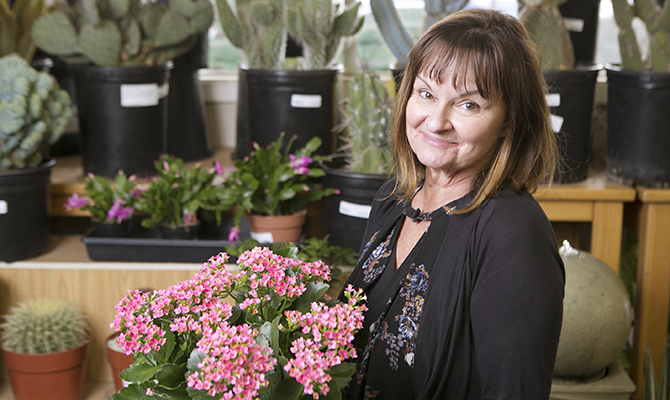 After I lost my husband, I quit the bank and ended up going to school at night to learn to be a florist. It kept my mind busy and I started picking up jobs at different florists to learn about the industry. Eventually I found an empty store in Yonkers and I said, “I’m doing it! I’ve got nothing to lose.” I was there for 9 years, then I came up to Wappingers and I’ve been here for 11 years. What’s your most memorable moment as a florist? There was a family in Yonkers that didn’t have any money but needed funeral arrangements for their child that died at just two years old. I felt for them so much that I did their whole funeral and didn’t charge them. Honestly, that’s what I’m about. If you’re not a people-person, you shouldn’t be florist. I’ve had a lot of crazy experiences, I’ve had a whole wedding cancelled the night before! You’ve just gotta go with it and figure it out. I had a bride and the father come in crying because the husband-to-be had cheated. I gave them their money back because that’s the kind of person I am. How could somebody do that?! The girl’s been through hell already. What keeps you coming into work every day? The ‘J’ in J&L is for my husband, and ‘heavenly’ is the backbone; what’s behind it. That’s why I do what I do, it gets me up every morning. I love what I do. I’m not here to be the biggest florist in town or make the most money. It’s all about love. I just needed something I know I’m passionate about; I’m an artist. 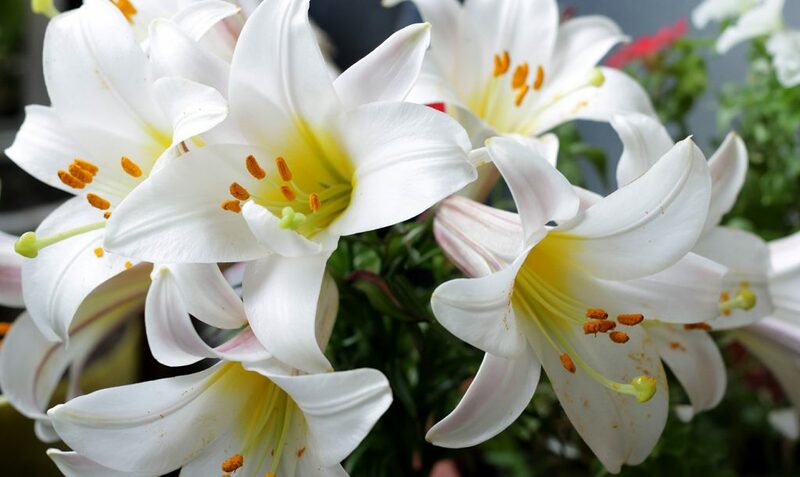 Tell us a little bit about how you got started with Bethpage Florist. I grew up in Island Park on Long Island. I never, ever thought about being a florist, to be honest with you. Basically up until I bought a flower shop, I never touched a flower. I was a stay-at-home mom with a small party planning business that worked with balloons, favors, things like that. I never worked in a flower shop, I never had any thought of working in this industry. I bought a flower shop completely blind basically. We wanted to give Jen, our daughter, some kind of a future. I just kinda thought, let me get this business out of my living room and I’ll run it out of the store and see what we can do. We bought the business, and on the owner’s last day, he closed the store at 5pm and the following day at 9am I walked in for my first day. I kept the whole staff, and said I’m going to count on all of you because I never worked in a flower store, so I’m going to give everyone a raise and count on you to help me out here! Now, years later, we have an incredible staff, including my daughter, and we’re doing better than ever before. So what happened to your party-planning business? When it comes to the favors and balloons, I outsource all of that to small local vendors and I basically just give it all away. I don’t charge commissions for any of that because I know there are a lot of mom and pops that are working out of their houses. I was there too. I get it. I can appreciate all of that. I can appreciate each step. I can appreciate how hard we had to work to get to it. 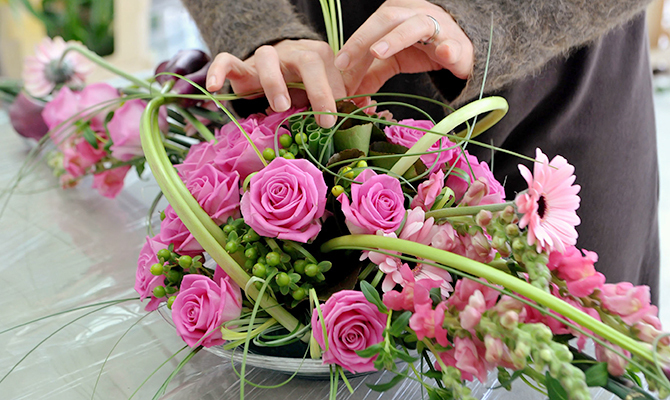 What is your proudest moment as a florist? We took a store that was failing for a lack of love, and in two and half years, we brought it back to life. Every day is awesome, and every day is exciting. I love what I do. What is something that’s happened that you never thought would be possible when you started? A year and a half ago, I developed Long Island Floral Design School. The first fall semester we had 3 people, the spring semester we had 5, now we have 16 people signed up. You see, if you start it, people come! There is a want and there is a need, you just have to put it out there. You have to be dedicated and you have to be passionate. All florists are an important part of our communities. They’re a part of our weddings, funerals, births, birthdays, anniversaries, but most importantly, they’re the ones that help us celebrate all life’s special moments. With Lovingly, you’re making a difference in your community by supporting local artists. 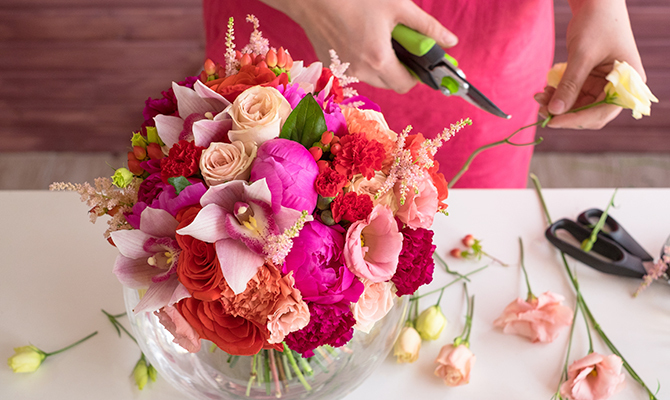 You not only get expertly crafted floral arrangements, but you get one-of-a-kind floral arrangements that are custom-designed to tell your story. Send your meaningful flowers today.